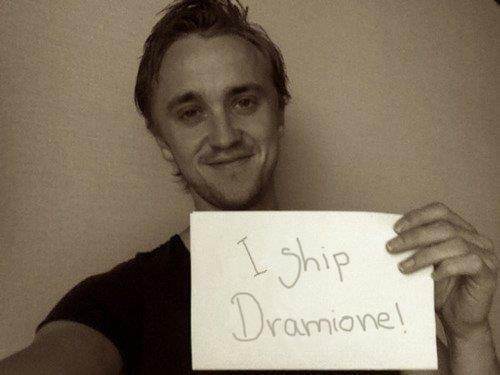 Tom Felton Ships Harry Potter Couple Dramoine. . Wallpaper and background images in the Harry Potter Vs. Twilight club tagged: harry potter funny tom felton dramoine draco malfoy hermione granger shipment. This Harry Potter Vs. Twilight photo might contain laptop and laptop computer. Is Bella madami relatable than Harry?